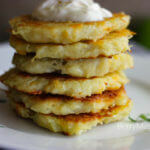 Fast and easy breakfast potato cakes for your morning meal. Made out of simple ingredients and take no more than 20 min to make! 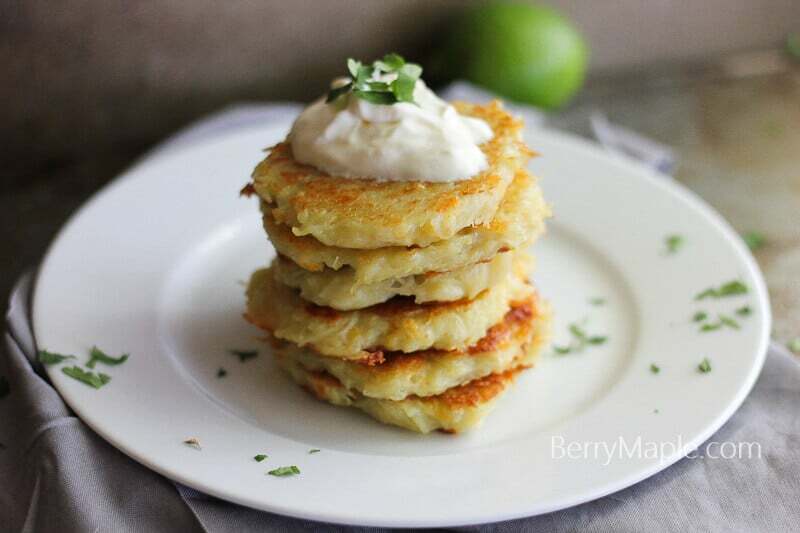 Potato cakes in general is a very filling dish. It will definitely help you not to feel hungry till lunch. Try this easy recipes for you weekend family breakfast- you will not be disappointed ! Peel potatoes. Grate them along with the onion on your grater. Put the mixture in to a paper towel and slightly squeeze. You don't have to let all the liquid go, but most of it. Place potato-onion mixture in to the bowl. Add an egg and flour, about 1/3 tspn salt and some freshly ground pepper. Mix very well. Cook just like you would cook a pancake- spoon the mixture on a heated oiled pan, fry on each side for about 3 minutes on a medium-high heat until gold in color. 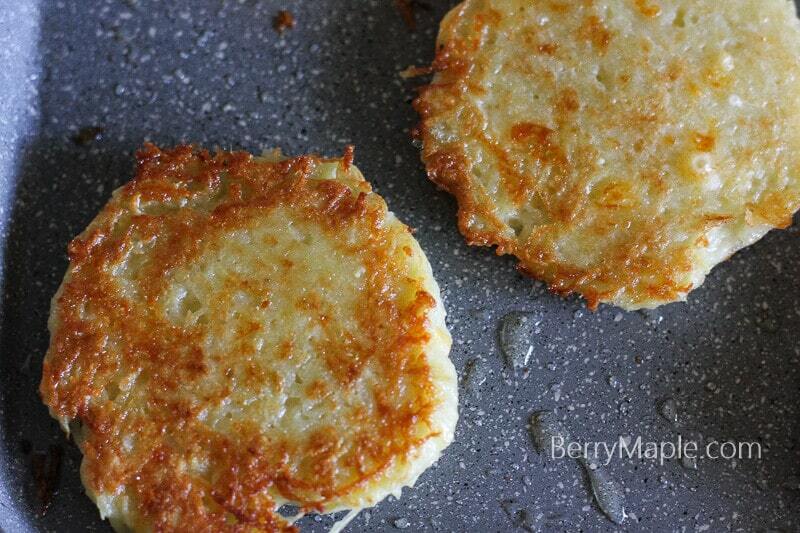 Place cooked potato cakes on a paper towel to absorb that extra oil. Serve with sour cream and chopped cilantro. Enjoy! Oh my goodness! 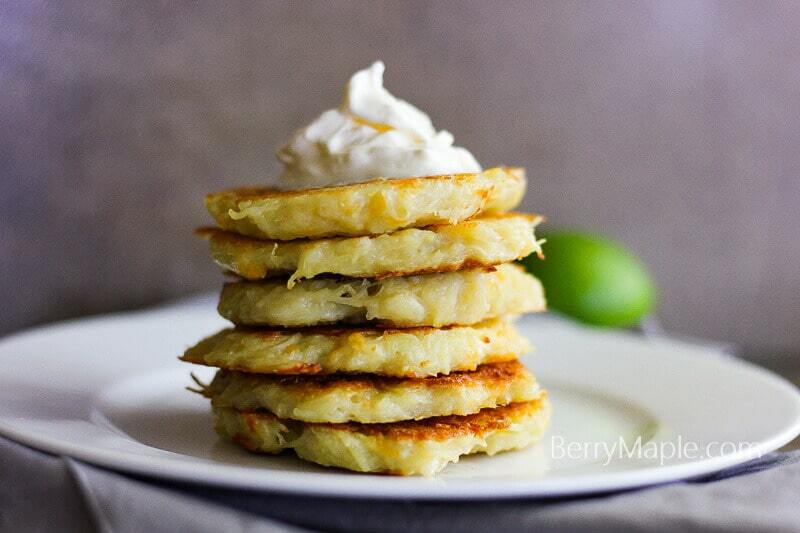 these potato cakes look so incredible! 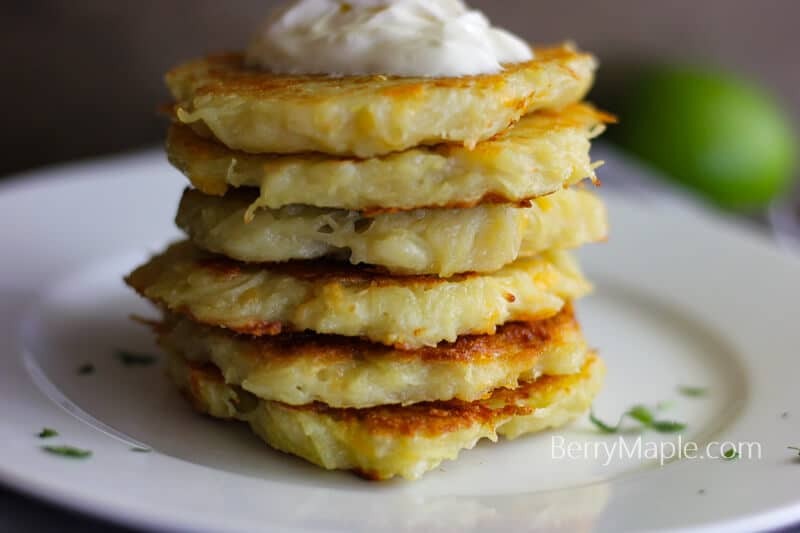 I can´t believe how easy it is to make this, and yeah with the sour cream, they will be a huge hit at my house too!